While we’ve already brought you the full specs of the EOS 5D Mark III before it was announced, Canon officially revealed the new full-frame DSLR early this morning. The EOS 5D Mark II allowed photographers to get their hands on a relatively affordable and lightweight full-frame camera, but after three years since its release it’s been showing its age. 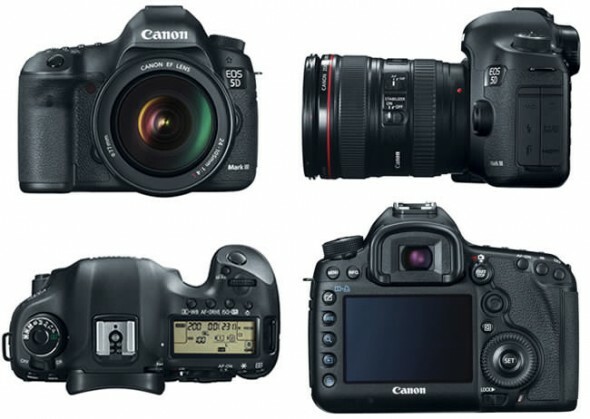 The hotly anticipated successor is now a reality and Canon has brought a pretty solid feature list to the new camera. It’s got a new 22.3-megapixel full-frame CMOS sensor with DIGIC 5+ processing technology. The new camera has actually adopted some of the features of the flagship EOS-1D X, like its 61-point autofocus system with up to 41 cross-type points and the rear 3.2-inch 1,040,000 dot display. We’ve been trying to restrain from posting too many news on Apple’s upcoming next generation iPad, which should be announced on March 7th, but this is an interesting piece of news. It’s long been speculated that new iPad will follow the same naming convention as previous generations of iOS products, i.e. will be called the iPad 3. 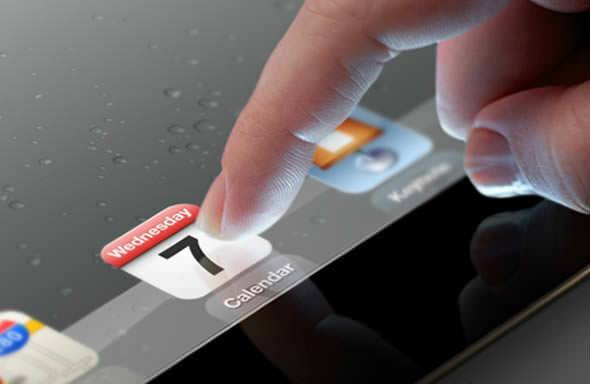 However a new rumor suggests that it will actually be called iPad HD. Although we generally dislike the trend of simply slapping “HD” on everything, it could make sense as the key new feature of the next iPad is expected to be its high definition 2,048 x 1,536-pixel display. 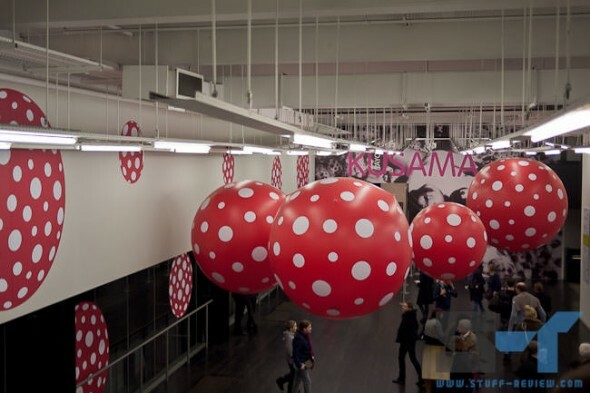 Obsessiveness, repetition and of course dots sum up the incredibly original work of Yayoi Kusama. Aged 82, Kusama came into adolescence while Japan was entering its postwar period and later moved to New York in the 1960s, exhibiting alongside Andy Warhol and Jasper Johns, before returning back to her home country in 1973. Kusama didn’t just follow the trends of her time, she created them. The Japanese artist has been on a creative roll ever since she was a young child incorporating her trademark dots for the first time in a drawing at the age of 10, which as she admitted were part of her first hallucinations. This one is for all you illustrators, graphic designers, digital artists and pro photographers out there. Wacom, makers of fine digitizing tablets, has just announced the next generation in its Intuos lineup. 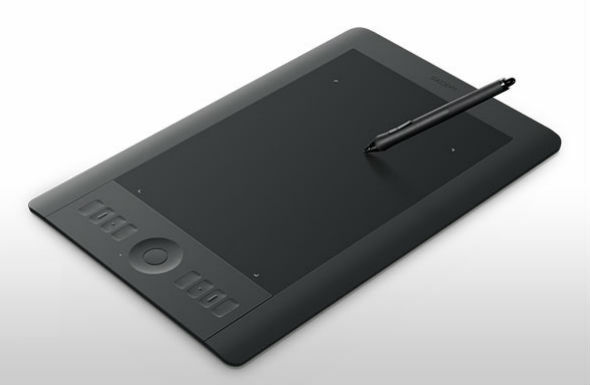 Intuos5 takes the reigns as the company’s most advanced graphics tablet line. Wacom has added some useful features to the new line. The Intuos5 gains multi-touch gesture support, taking advantage of the touch capabilities already built into OS X Lion and Windows 7. For example, you can navigate, rotate and pan images using your fingers. In addition the new software gives you the ability to create and customize gestures for individual applications. Another new feature is that now all the tablets in the line-up can connect to your computer wirelessly, provided you have the separate Wacom Wireless Accessory Kit. Over the past several months we’ve been closely following the development of Microsoft’s next version of Windows. Windows 8 offers a ton of improvements and changes over Windows 7 and since September, developers were able to try out the new operating system in the Windows 8 Developer Preview. 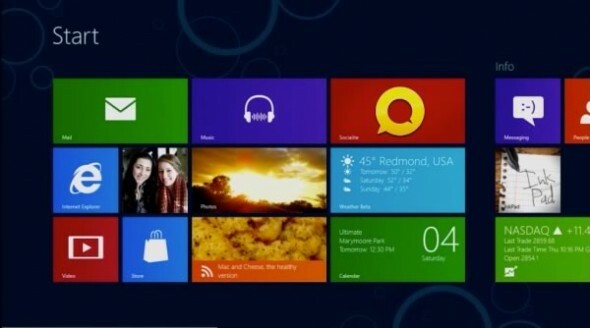 Now anyone can download and install their own preview copy of Windows 8 with the Consumer Preview. Microsoft is not officially calling it a beta, though it will, hopefully, help shape the finished product. Microsoft claims to have made over 100,000 code changes following feedback it has received so far since the Developer Preview. 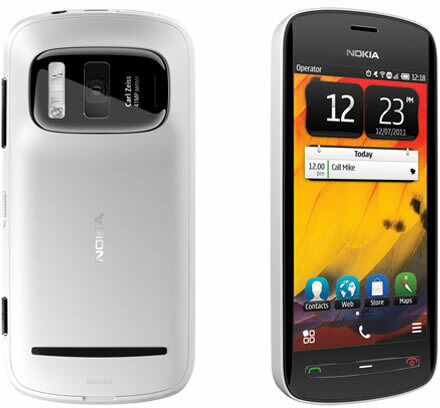 One of the most interesting devices to come out of this year’s Mobile World Congress is the Nokia 808 PureView. 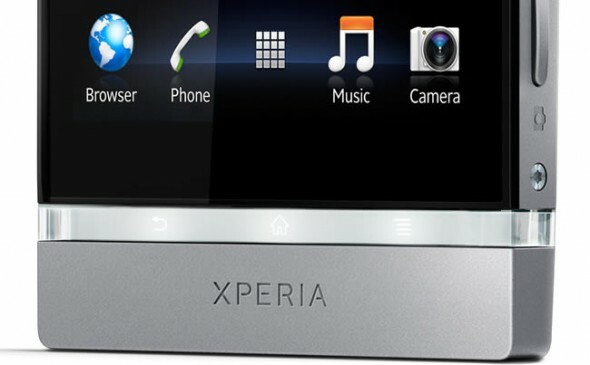 The 808 runs Symbian Belle over the company’s current crop of smartphones running Windows Phone. What makes it special is the new 41-megapixel camera sensor — no that’s not a typo — paired with Carl Zeiss optics, which Nokia has aptly named PureView. Nokia hasn’t gone completely crazy, jamming more pixels into a tiny sensor and letting you handle crappy 41-megapixel files. First of all the sensor size is 1/1.2 inch, about five times larger than the typical 1/3.2-inch sensor found in most mobile phones. Because the sensor is bigger, the pixel size is still 1.4µm, the same as most current phones. You can actually see the 808 PureView sensor below at the bottom right, compared to an 8-megapixel and a 5-megapixel sensor this thing looks enormous. When you combine the Carl Zeiss f/2.4 lens and a Xenon flash the entire camera array takes a substantial amount of real estate. The Raspberry Pi foundation began selling its ARM-based $35 Linux computer at 6am GMT today through two UK mail order electronic distributors, but initial demand was so high that brought the websites to their knees while the system quickly sold out. 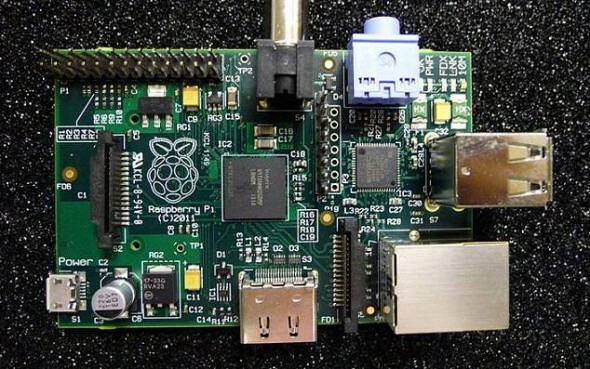 The Raspberry Pi computer is the size of a deck of cards and is made up of a 700MHz ARM11 CPU with 256MB of RAM, SD card storage, a USB port and HDMI, audio and RCA video outputs. The system boots Fedora Linux from the SD card and connects to a TV and a keyboard for a pretty standard computing experience. It’s been more than three years since the Canon EOS 5D Mark II hit the streets and the, relatively, affordable and lightweight full-frame camera has met a lot of success. But three years is a long time in the ever-changing world of tech and Canon has long been rumored to be preparing a successor. 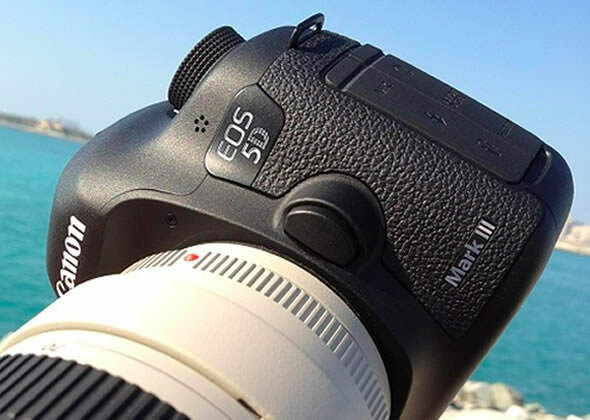 The Canon EOS 5D Mark III was first spotted on an African safari, though at the time it was yet unconfirmed whether it was indeed Canon’s upcoming full-frame DSLR. 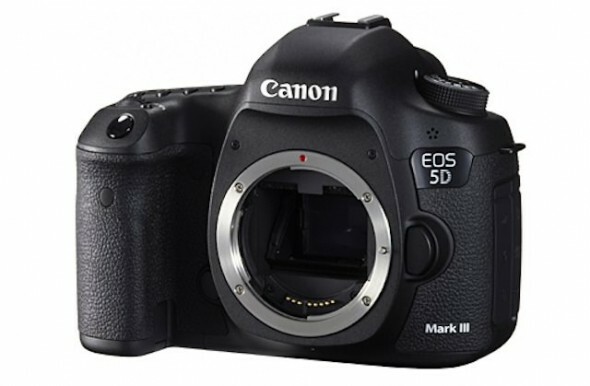 A new leak over at the forums of Canonrumors has brought us a number of new pictures, confirming the Canon EOS 5D Mark III. 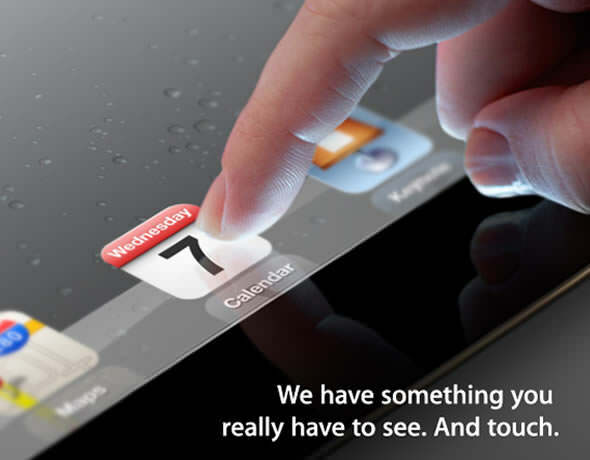 Confirmed: iPad 3 to be announced at Apple event on March 7th. Cue to retina display and advanced haptic feedback? You had been warned to hold off any iPad purchases until further notice. 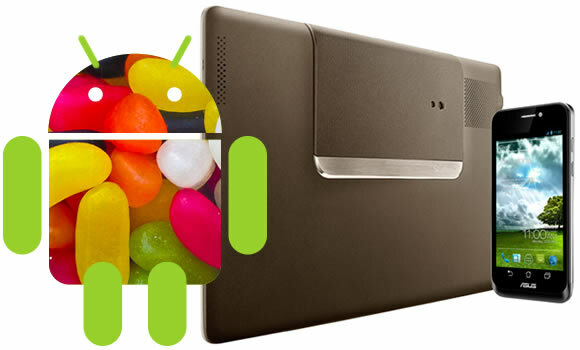 So finally we have confirmation on the official announcement for Apple’s next generation tablet, the iPad 3. Apple has been sending out invites for an event at Yerba Buena Center for the Arts in San Francisco on Wednesday 7th of March at 10am PST (1pm EST or 6pm GMT). The invite shows a finger touching, a pretty sharp, iPad screen. The tagline reads We have something you really have to see. And touch. It’s been widely rumored that the iPad 3 will feature an extremely high resolution “retina” display effectively quadrupling the iPad 2’s effective pixels. The iPad 3 resolution is said to be 2048×1536 against the iPad 2’s 1024×768, which would really be a sight.